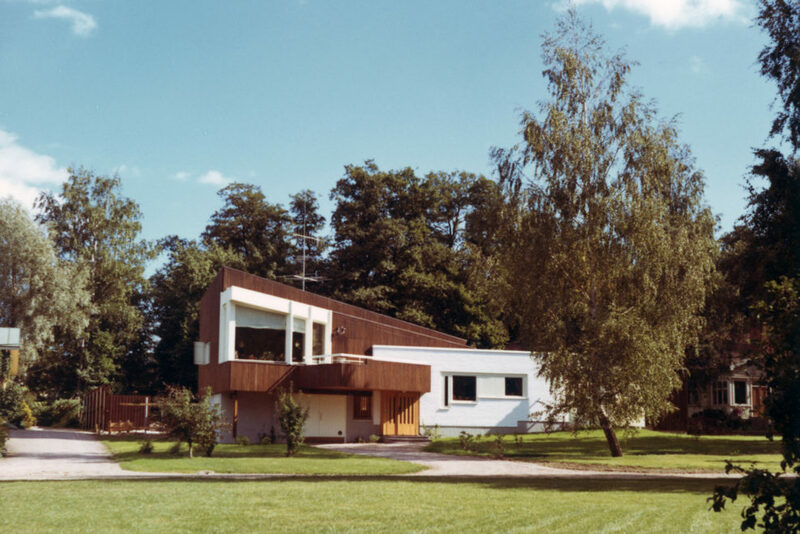 Aalto designed this house in for his friends the author Göran Schildt and his wife Christine. 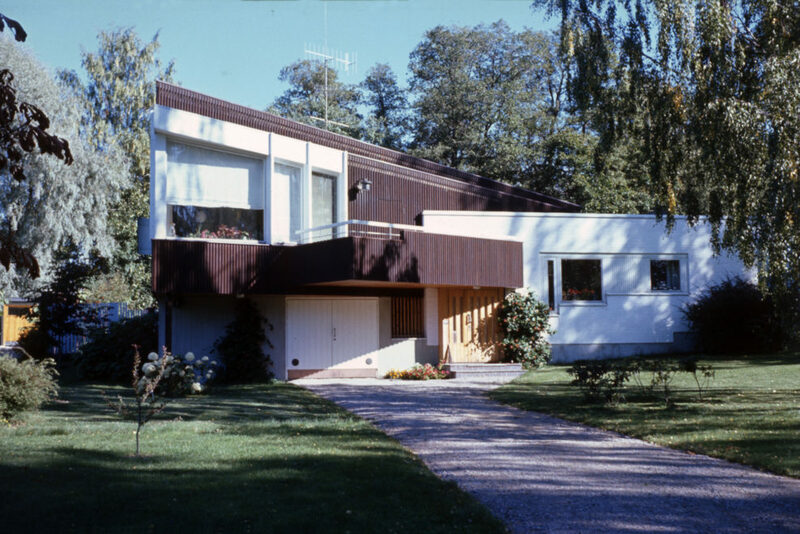 The Villa Skeppet (Ship) is on a nearly level, park-like site with a view across the eastern bay harbour of the idyllic small town. 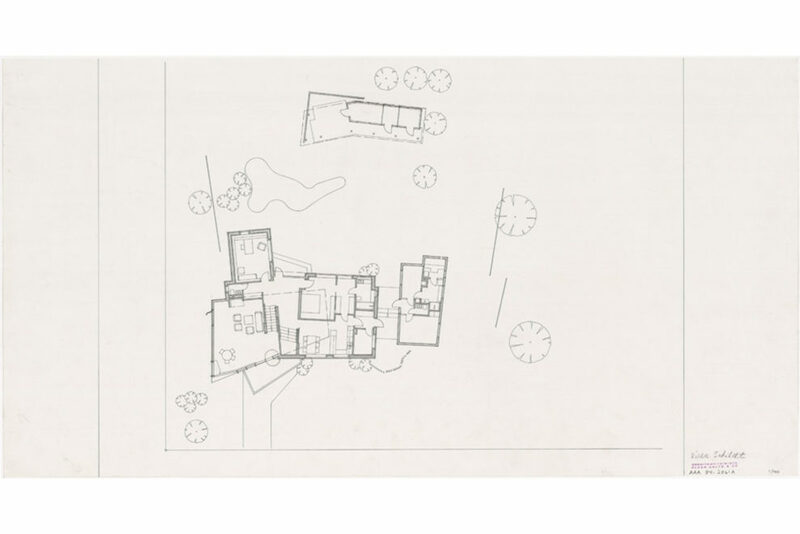 The lower parts of the villa are built of white rendered brick, whereas the large, fan-like living room which rises above the entrance and garage front is a timber construction, clad with vertical weatherboarding. 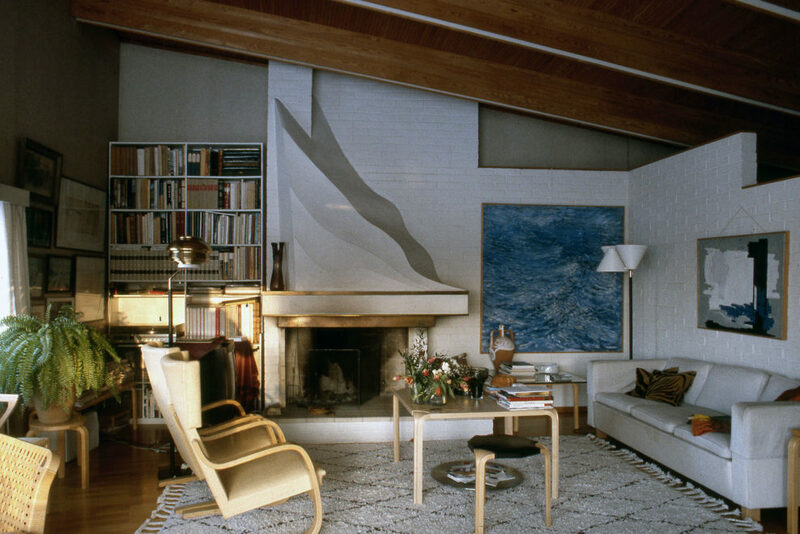 The living room, which opens onto a wedge-shaped balcony, has large landscape windows on the sea side and an open fireplace designed by Aalto as an abstract sculpture. The living room is integrated with the central hall by means of a common ceiling borne by monumental beams, open balustrades, and two stair landings. 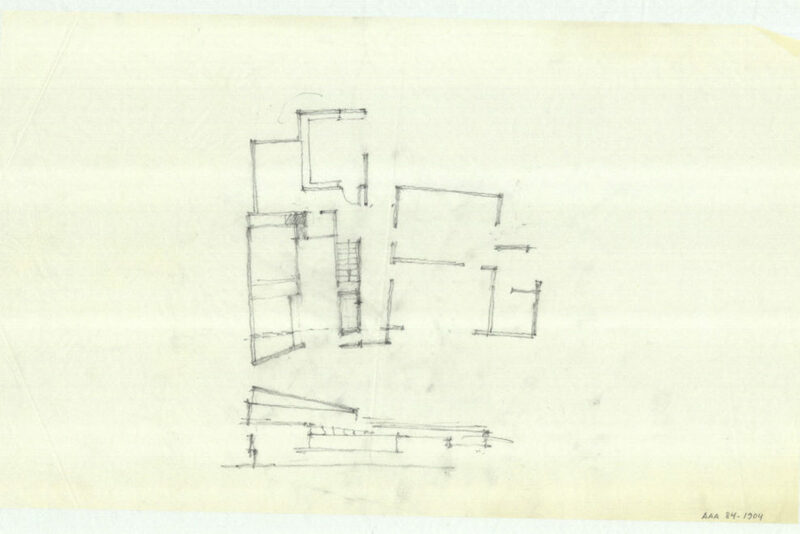 The hall also provides access to the author’s quiet study, the bedroom, and the combined dining room and kitchen. The sauna is in a separate wooden wing linked to the main building by a latticework wall and a baldachin, both in free form. In the centre of the inner yard is an amoeba-shaped lily pond and behind it a shed with a summer dining room. The garden is shielded from view by several screens consisting of diagonally placed vertical boards. 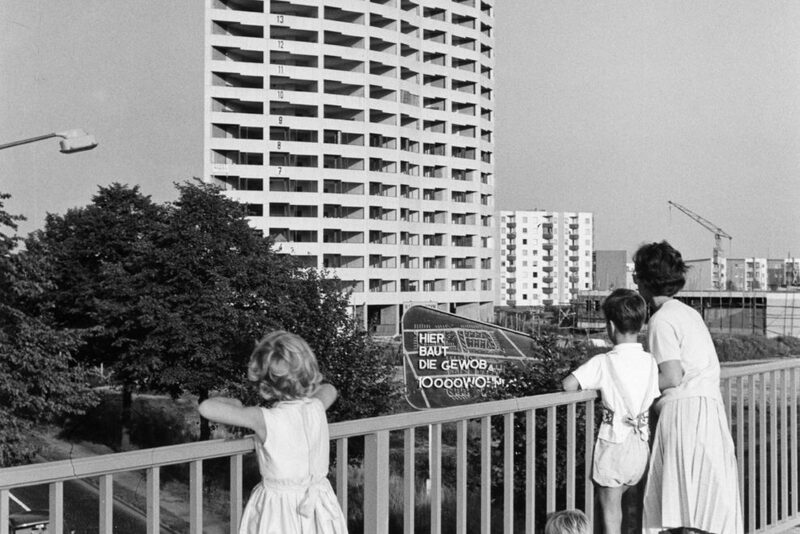 Guided tours of the 2018 summer are sold out. 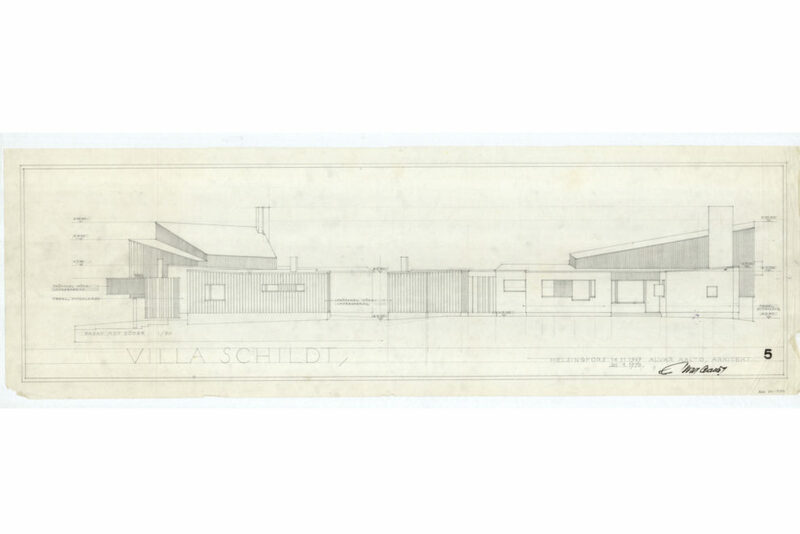 See visit information on Villa Schild website. 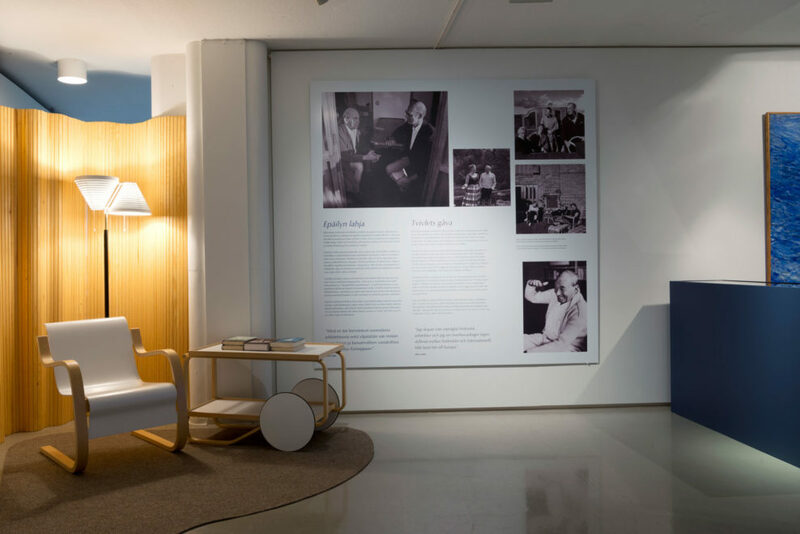 Exhibition tells of the friendship and collaboration which existed between Göran Schildt, the writer, and Alvar Aalto, the architect.